With Munster's Pro12 victory against Connacht in the past now and the squad focusing on the rescheduled fixture against Racing 92, Tipperary man Tommy O'Donnell could be a doubt. 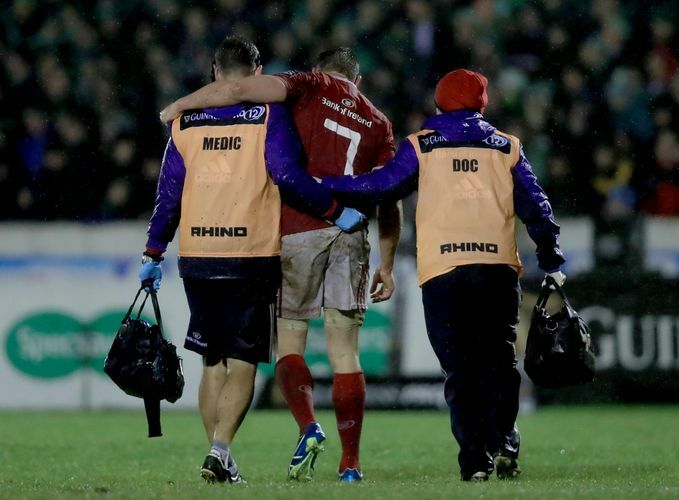 According to Munster Rugby the Cahir man will undergo further investigation for an ankle injury he picked up in the Connacht game. A decision on whether he will be in the squad for the Racing 92 game will be made in the next few days.